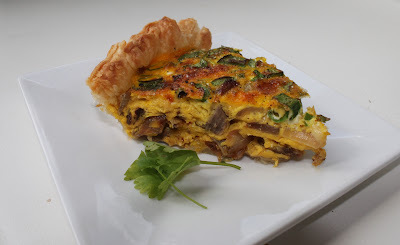 The question is always the same on a weekend morning - what are we going to have for breakfast and how can we use the leftovers from last night's dinner? We've learned to keep a stash of eggs in the fridge so we can make a quick omelette or scramble some eggs with whatever we have around. I was in the mood for something different this time and we started rooting around in our fridge. We found a bit of steak from last night's Pad See Ewe (will post on this later), onions in the pantry, parmesan cheese, and some chives/herbs. It became apparent that a quiche would be easy and fun to make. 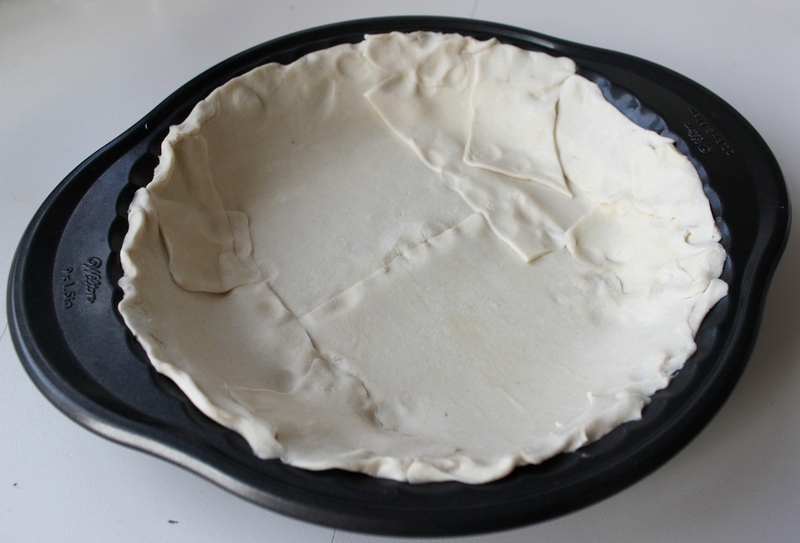 The only thing we were lacking was a pie crust, but instead of making it from scratch, we found a useful trick for some of the remaining puff pastry. Below is one direction you can take a simple quiche. By adding steak, you can make it manly too - bonus! 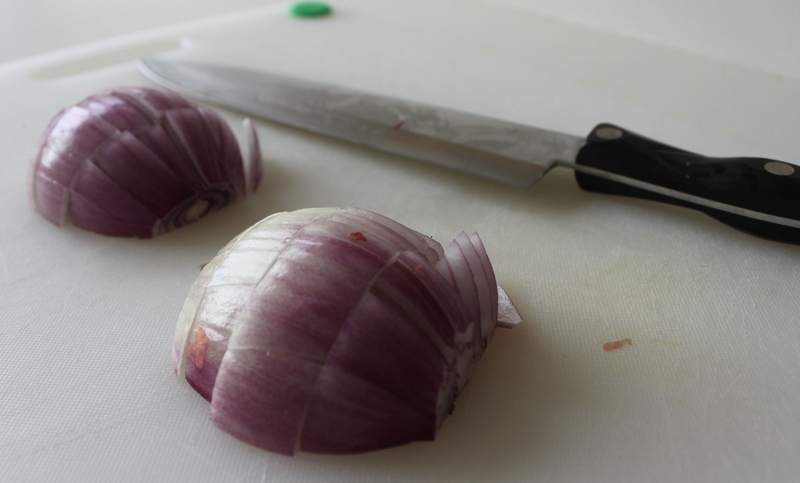 Start by dicing some onion - place it in a pan with some butter and olive oil (~2T in equal parts) and caramelize them in a pan with a pinch of salt. 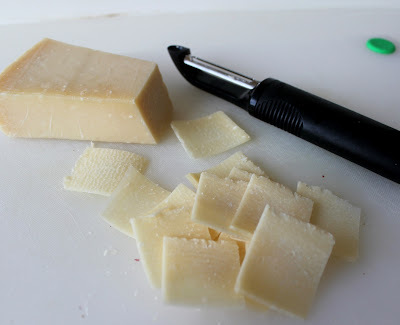 Shave or chop some parmesan cheese (keeping reggiano around makes life better). 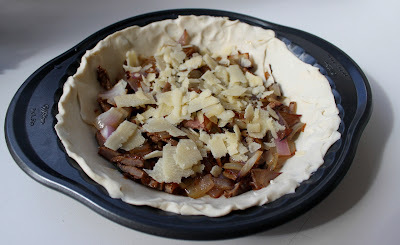 Chop some cooked steak, or you can add some uncooked chopped steak in the pan with the caramelized onions (push them to one side). Whisk some eggs with some full fat milk. We had some special eggs on hand that we got from a trip to Normandy, France. We stayed at an awesome Bed & Breakfast and the lady who owned the farmhouse could name the chicken who laid each egg. 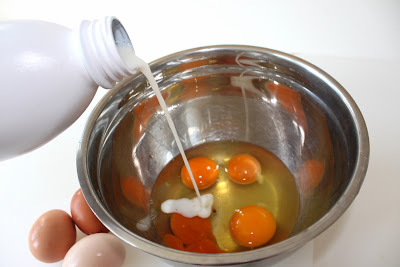 I'm still trying to get over the rich orange color of the yokes. Either be a beast and make your own pie crust, or you can piece together some leftover puff pastry to make a nice crust. Toss the whole shebang together (you can correlate the amount of steak you put in there with the amount of chest hair you have). 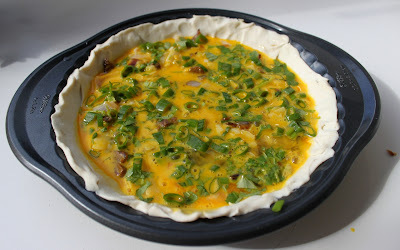 Fill in the cracks with the whisked eggs, some chives, cilantro, and a pinch of salt and pepper. Bake in a pre-heated oven at 190C / 375F for 30-40 minutes until set and the crust looks crusty.